I was born twice: first, as a baby boy in the sunny morning of Monday June 14, 1993 in Taiz, Yemen; and then again, in the fall of 2008. It was my first time to study at a public high school, grade 10, class 12. It was completely different than the private school I used to study at. It was big and crowded, with a minimum of 80 students in each class! At that time, I was trying to improve my personality and explore new opportunities. I wanted to live my life fully, not as the teenager that I was. A way to organize my thoughts and connect with new people was needed. I did not have a clue what to do until the moment I got the chance to use the internet and began to read online blogs of many interesting bloggers. The idea of blogging was fascinating to me. “Why not starting one?” I thought to myself. As days passed, I met four enthusiastic and ambitious schoolmates who became my friends till now. Mohammed, one of them, was a relatively quiet and open minded person. My mates and I got to know him through MSN Messenger, and, surprisingly, he was studying in the next class! He was very absorbed in Web Development and was working on a custom CMS platform and some other web applications for his father’s clinic. I asked him about blogging software he would recommend. He strongly recommended Joomla and also suggested Drupal, WordPress and others. I tried them all. WordPress was so easy to use and out-of-the-box, although I had failed a few times while I was trying to install it locally. Once I had logged-in to the dashboard, honestly, I thrilled to pieces! I used to receive some positive messages as the developer of the blog we started and appreciative replies to my answers for some questions in Arab WordPress community, a forum to share knowledge among Arab WordPress users. This encouraged me to start a small freelancing business with WordPress. It seemed a great idea to expand expertise, earn some money, and follow my passion! 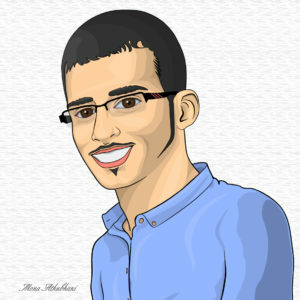 Being a freelancer and a high-school student at the same time was not that easy as one would think! Sometimes I was working until 3:00 a.m. to finish a client project, and then woke up at 6:30 a.m. rushing to school. Most often, classes were so dry that led me to write PHP codes in every copy-book of mine! If you would like to try this at your school, remember to move yourself to the end of your class or be ready for any of your teachers’ mean reactions to keep you attentive! On several afternoons, I used to take naps to restore my energy and be ready to work at night. Very rarely, I would have to stay out at internet cafés until 2:00 a.m. to upload/download things I needed because we had no Internet connection at home. For sure, this made my parents quite angry and obviously worried. Most importantly, I had neither a cell phone because of some strict rules in my family nor a national ID card because of the legal age requirement in Yemen. I was attempting to use my school ID card to receive money transactions, and guess what? I was lucky enough to manage it twice. But then I was asked to present a national ID. “ When will I turn 18?” I just had to overcome that obstacle, asking trustworthy friends to help. My clients were mostly from the Arab World, Europe, and USA. I had the chance to contact with many nice and outstanding people who not only boosted my experience but also showed me the way into some new opportunities and more success. At the beginning, most of my family members thought I was playing, except my MOTHER. I remember the moment I told her about my fairly new business. She said, “Regardless of what it is, just do what you love and believe in!” However, I faced hard times trying to convince her I did not smoke as she smelled cigarette on my clothes whenever I got back home from those cafés! On the other hand, my father was the kind of man who stood backstage. He used to tell his friends how happy and proud he was of me. That was all what I needed from him. On August 2012, I sent a message to Rasheed Bydousi, Arab WordPress community founder and translation editor of Arabic language, to suggest some ideas and ask to be a volunteer. He was very supportive and truly wise. We started discussing and working on some ideas for more than 4 months. In parallel with studying, working, and being a volunteer, I increased my efforts in translating, patching (helping in development), and reporting bugs for WordPress projects. It was very important for me to give back to the community I had taken a lot from. I felt the need of holding a WordPress meeting in my hometown, Taiz, because of the lack of specialized people who would like to collaborate and share knowledge. 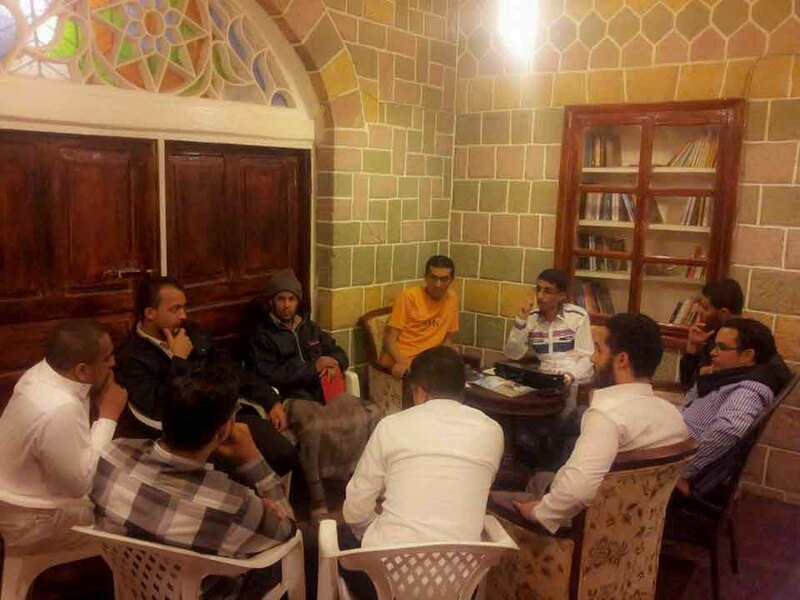 In 2013, I invited local developers to a small meeting in a local coffeeshop called “AL-Rassef”. Afterward, I presented a lecture about WordPress at Taiz University, in the same lecture hall I used to be a student in by that time. It was a warm beginning but I couldn’t continue due to my work and the deterioration of the political and security situation. Since 2011, my country has been facing major political changes and instability. 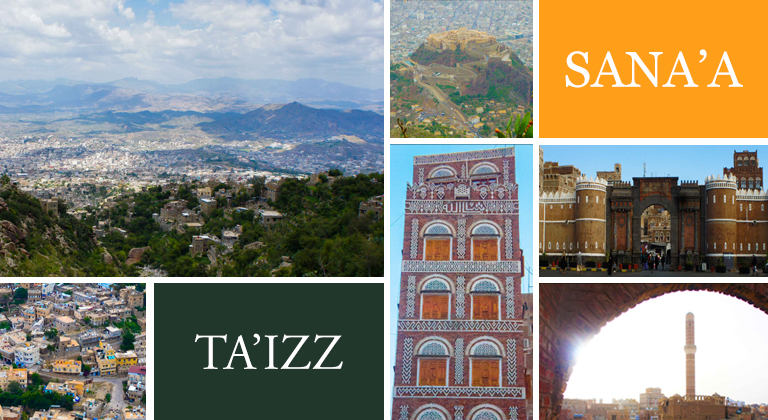 On April 2015, the Yemeni crisis has reached its climax and war started in my city, Taiz, and it is still going on! Some of my relatives had decided to move out of Taiz but my father chose to stay, hoping that war will stop quickly. We lived for months without public electricity or Internet. When the fight crawled to our area, we lived for weeks in the ground floor of our house, no way to go out, tanks firing from 300 meters away, airstrikes on nearby areas, and snipers shooting whoever dared to walk on streets. Many friends and innocent people were killed and some members of my family were hurt. We couldn’t sleep for days, fearing that at any moment they will knock our house door. I thought that was the end for me and all of my dreams. I was pretending to be cool and calm so my younger brother and two sisters feel better. I was telling jokes, reading books or watching movies when we got some power from my uncle generator. “Life of Pi” was one of the movies we had watched and everyone enjoyed it! I refused to hold a gun, “How could it help?! That’s not my role in life!” I was thinking. I was struggling to believe in tomorrow, no matter how it looked miserable and sad. In one of the mornings, after a nearby airstrike, we got a chance to escape. I tried to hold every detail of our house, neighborhood and street. “Thank you for all great memories. I will definitely return,” I told my house, feeling torn apart back then! I only took my laptop, tablet, and few clothes, they were all what I needed to start over. After some time of catching my breath, I realized that I had to connect the dots, keep on following my dreams and aim higher. On May 2016, I moved to Sana’a, the capital city of Yemen, leaving the pain and frustration behind. I got to know some enthusiastic developers and we decided to establish a community called Yemeni Developers Club for people who are interested in computer programming and have the passion for it. We hold a meeting on the first Saturday of every month to share ideas, answer questions, and help one another to innovate, learn, and grow. We are planning to have, in the near future, special meetings to discuss WordPress related topics and learn how to obtain the maximum benefit from it. Photos for Ta’izz and Sana’a cites, photographed by Mona Athubhani. I am sure that WordPress helps thousands of developers, including me, be more independent, involves them to be parts of it, and offers opportunities to serve people from around the world. 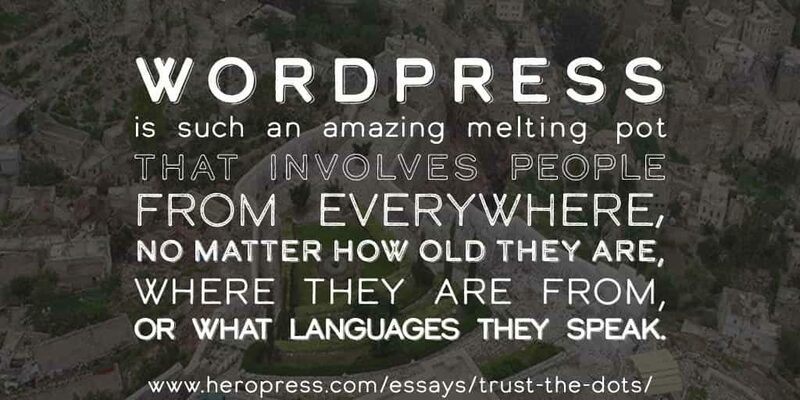 WordPress is such an amazing melting pot that contains people from everywhere, no matter how old they are, where they are from, or what languages they speak. Being a WordPress hero is not about programming skills or contributions size, it is all about the challenges we face and overcome. It is even more about supporting the new users to be the next heroes. Thanks to all my friends who contributed to make this essay better. Many thanks to Topher DeRosia for inviting me to write here and SPECIAL THANKS to Mona Athubhani without whom I would not have completed this essay. Build powerful forms, surveys, polls, quizzes and more with Gravity Forms for WordPress. You made it Nashwan, and it’s just the beginning. 🙂 I expect so much of you because you have been through all these experiences, maybe more, and kept holding on to your dreams. They say, “What doesn’t kill you makes you stronger” but it’s not all about experiences, it’s more about attitude. You decided to be stronger, followed your passion, & took the road less taken where it’s grassy and rough. I believe there are lots of things to be seen & enjoyed in that road. Welcome to the WordPress Hero’s club. Loved your story, hope things get more stable in your Country. be strong, never give up! I am very proud Nash! And so happy to pass here “WP hero’s corner”! I’m so glad to read the beautiful ambition here. keep going! You will harvest WHAT you sowed.